Revolutionary greens management starts with the new Jacobsen® EclipseTM 322—available in battery, gasoline-hybrid or diesel-hybrid models. 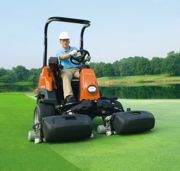 It is the industry's only hydraulic-free riding greens mower. No chance of costly turf damage from hydraulic leaks. No valves or hoses to worry about. Features such as programmable frequency or clip, and individual reel control can be customized to meet the unique requirements of your course. Environmentally smart, the battery version eliminates fuel usage, and up to a 50 percent fuel reduction with hybrid models. The Greens Management System includes the Jacobsen Classic XPTM Reels, and multiple attachments increase versatility. Rubbermaid Commercial Products announced a new concept in cleaning. The DVAC 1 Pass Cleaning SolutionTM combines multiple cleaning tasks into one to reduce non-productive labor time. This dolly-integrated vacuum allows cleaning professionals to collect waste and recycling, dust and vacuum in a single pass, optimizing both productivity and cleaning quality. It is designed with timesaving features to make cleaning more efficient, including a deluxe rim caddy with storage areas and tool grips to hold supplies for on-the-go cleaning. DVAC is easy to maneuver, with an ergonomically designed arch handle. 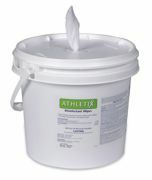 Athletix Disinfectant Wipes kill common bacteria and viruses such as staph, MRSA and VRE, and are safe for surfaces such as metals, plastics, Formica, vinyl, glass, wood, porcelain and paint. EPA registered in all 50 states, Athletix Disinfectant Wipes are ortho-phenylphenol free, bleach free, ammonia free and alcohol free. With 800 wipes per roll in a preloaded bucket, these 7-by-9-inch wipes make cleaning and disinfecting easy, portable and economical. Also available in refill rolls: two rolls per case. Little Wonder offers a complete line of debris management equipment that will make debris management easier and more efficient. Little Wonder Debris Management Equipment includes an assortment of industry-leading walk-behind blowers, an all-terrain debris vacuum that shreds down debris fitting more in the bag and reducing trips back and forth to empty and three models of truck loader for removing large piles of lawn debris. Sta-Put Tab stays on the wristband to help promote a clean environment. Reduce maintenance and cleaning costs. Made of strong, waterproof, lightweight material. Wristbands comfortably adjust to any size. Can be custom-designed and bar-coded for your facility or event. All wristbands come with free, pre-numbering for ease of control and accountability. Virtually tamper-resistant due to a series of die-cuts at the point of adhesion. 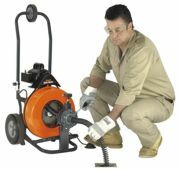 The economical Metro-RooterTM from General Pipe Cleaners is the Mini-RooterTM of root cutting machines. With a capacity of 75 feet of 5/8-inch Flexicore® wire rope center cable, the Metro-RooterTM handles roots and other tough stoppages in 3-inch through 6-inch lines. Or switch to 100 feet of 1/2-inch cable for smaller jobs. Lighter and more compact than other root machines, its narrow profile facilitates handling in tight places, on stairs and during loading. The maneuverable Metro-RooterTM features a fold-down handle, truck loading wheel, and tough, lightweight frame on 10-inch heavy-duty wheels for easy transport. Fit4Sale's goal is to provide quality equipment, customer service and affordable pricing. Their philosophy is to put the customer first, which means manageable and in control of customer needs. Fit4Sale has developed facilities for clients in several industry sectors, including hospitality, professional and collegiate sports, education and recreation, property development and management, corporations, municipalities and government organizations, medical, health and wellness organizations, and private clubs. Legacy Shelters Inc. provides wood and steel park shelters in a wide range of sizes and styles at a competitive price. They also provide complementary written specifications for your shelter for the bidding process.